This is a true story. For weeks after poor little Devin would walk up to me with follow up questions on the nature of good and evil as applied in a Disney universe. 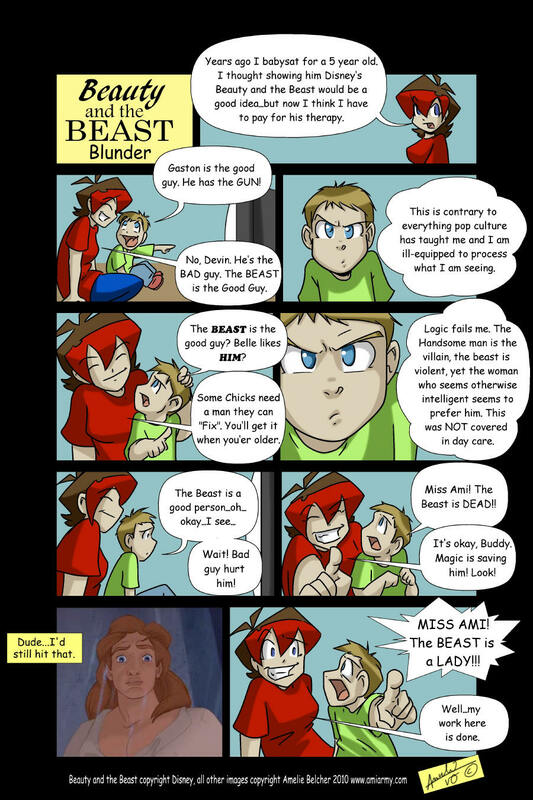 He's still confused as to what really happend to the Beast.